The vigil was held at the beach in front of the Farr's home. BASS LAKE, Calif. (KFSN) -- The vigil was held at the beach in front of the Farr's home. A friend of Kyle's said that the beach was packed with people. Action News respected wishes from the family not to bring our cameras there. The Farr family's home on Bass Lake has an open door policy -- everyone flocked there, says neighbor and family friend Danny Hillyard. The house is so close to his, but now, it seems so far away. "It's really rough to get back to going over there and having a good time when a piece of it is missing," said Hillyard. He's talking about Kyle Farr, who died late Wednesday night after the See-Doo he was riding hit a parked pontoon boat. It's the second fatal boating accident in less than a week at bass lake. David Florez, 13, died after a jet-ski hit the inner-tube he was riding. And then late Friday afternoon, there was another emergency on the water -- a woman was airlifted out of the lake after her leg got caught in a boat prop. A tragic week hasn't slowed the action on Bass Lake this holiday weekend. But regulars are noticing some drastic changes. Kyle Farr was 14, but friends say he was wise beyond his years. "He lived his life to the fullest, he never, ever held back," said Hillyard. Hillyard says Farr was extremely athletic and an experienced rider, and he should know, he taught Kyle everything he needed to know about life on the water. "I helped raise him, I had been taking him out on the water ever since they can walk. They used to beat me up all the time-called me 'Uncle Danny.'" Uncle Danny called Kyle 'Bam-Bam.' And couldn't wait to see him play football in high school. So when he got the call from Kyle's dad, he couldn't believe it. "I was just here. I have the picture on my phone of Kyle playing with my newborn baby, I have my 10-month-old baby that Kyle was playing with two days before." Sierra Bulmer spends every summer at Bass Lake, and for the last five years, a lot of those summer days have been at the Farr house. Their beach was the location of Friday night's vigil. "Everyone I talk to is just broken up about it, we just want to find some way to celebrate Kyle's life and try to work together through this." The Farr's are planning funeral services for Kyle at their home in Los Gatos, so the doors of their summer home are now closed. 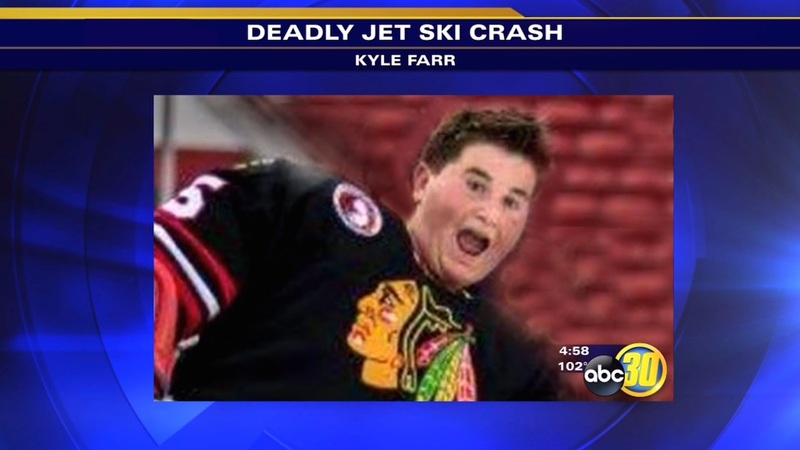 For anyone who knew the Farr family, it doesn't seem right and Kyle's death, still doesn't make sense.